We all love a good show, but when it comes to surfing, the only thing that should be center stage are the waves, right? As a woman who is consistently in the agua, finding the perfect bikini that is both stylish and functional has often been a challenge and has made me one helluva bikini connoisseur–a picky one, I might add. Gents, it’s time to forget about our lovely Ms. Blanchard’s notorious bottom turns for a second and consider what a woman really wants out there in the deep blue. At the end of the day, girls just wanna have fun, and, let’s be honest, for the everyday surfer girl, we want to look good and nail solid backside hacks without the full moon view or surface from a luscious duck dive or turtle roll with all of our goods intact. Or we just plain want to be in, on or near the water with no worries. Period. 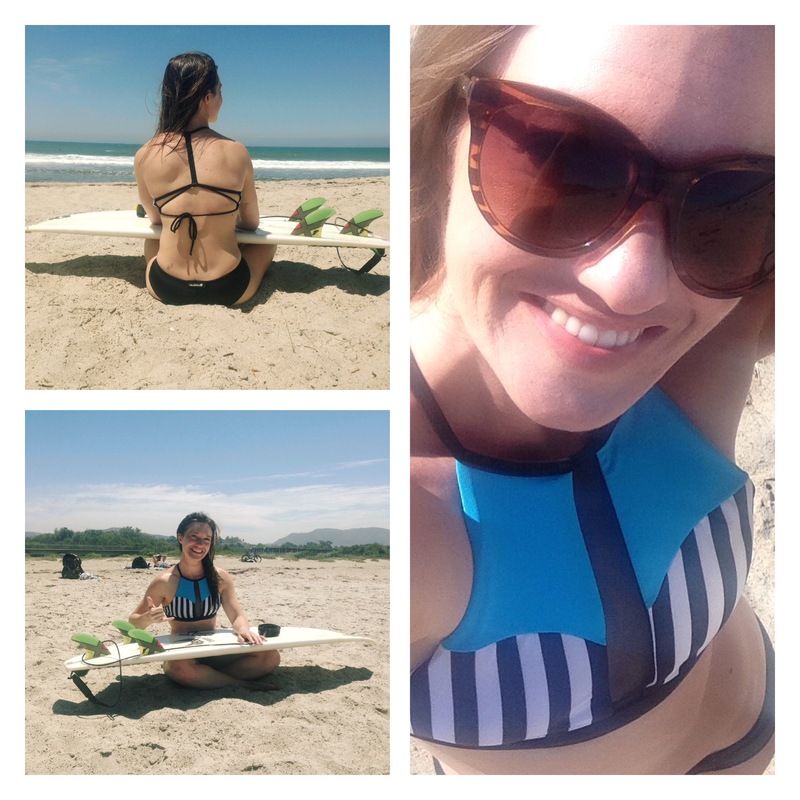 Calavera swimsuits does just that: both stylish and very functional suits designed and manufactured in Los Angeles, CA, this suit stays put on the bod and has become a staple ‘kini in my surf gear. “We test our suits in Playa Hermosa, Costa Rica, one of the toughest waves in the world, with the idea that if they hold up in those conditions, the suits will hold up for anything,” said Calavera Swimwear Founder Anna Jerstrom. I decided to put the Reversible Halter Top Stripe and the Core Hipster Bottoms to the California test a-la point and beach breaks. This suit saw San Clemente State Park’s hollow waves, Salt Creek’s insiders and overhead Trestles, and (on the gentler side of things), Doheny’s soft right handers. 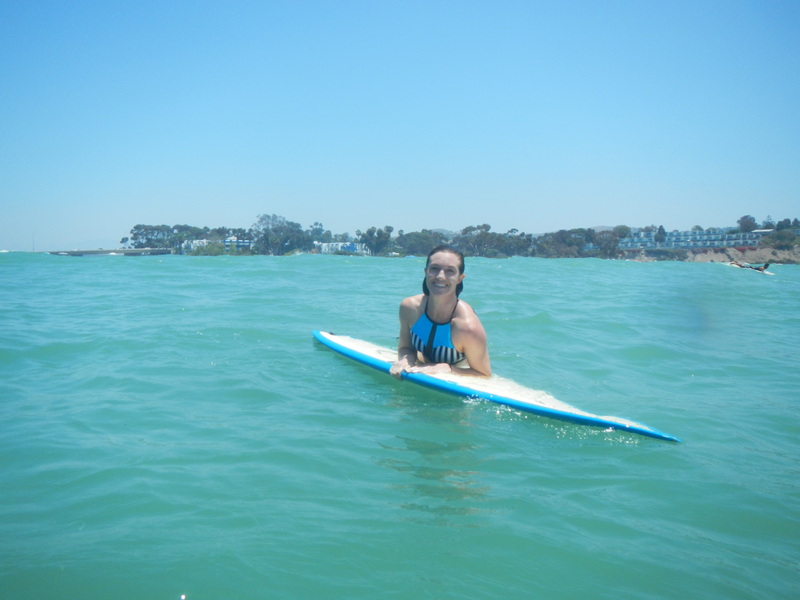 It did not budge from my bod–not to mention I felt like the female version of James Bond in the water. The top is specifically designed to avoid strain around the neck, which makes it very comfortable for hours of activity. Instead of elastic bands around the edging, Calavera features ties that don’t wear out as fast as your standard bikini. You can also can tie them yourself and adjust the “hold” for your bottoms. I love this feature because all too often, elastic quickly becomes shot in the sun and salt water, which ultimately retires the bikini. In addition to awesome designs, color palettes and solid functionality, Calavera ships their bikinis to you sans plastic wrapping! Environmentally conscious efforts, especially plastic reduction, are a major bonus that I look for in companies these days. Calavera has passed my bikini test with flying colors. No matter the duck dive, wipeout or turn, everything stays on AND in comfortably throughout my ocean activities. And I feel great in my suit!! 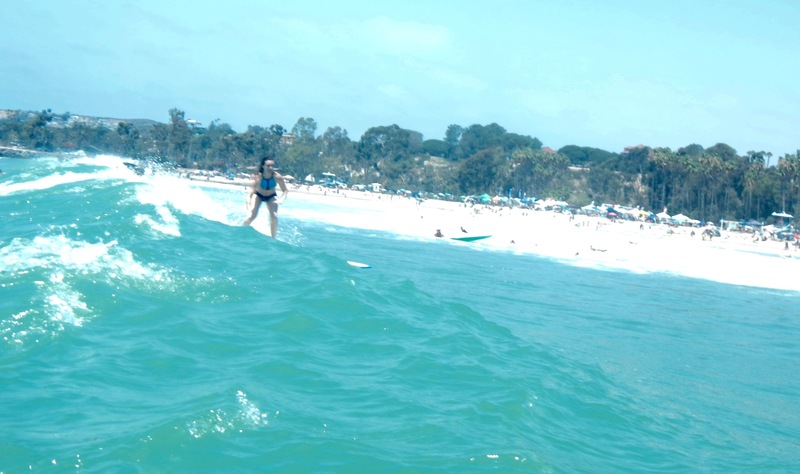 To all of your surfer girls and athletes out there: I challenge you to give their ‘kinis a shot at your homebreak.